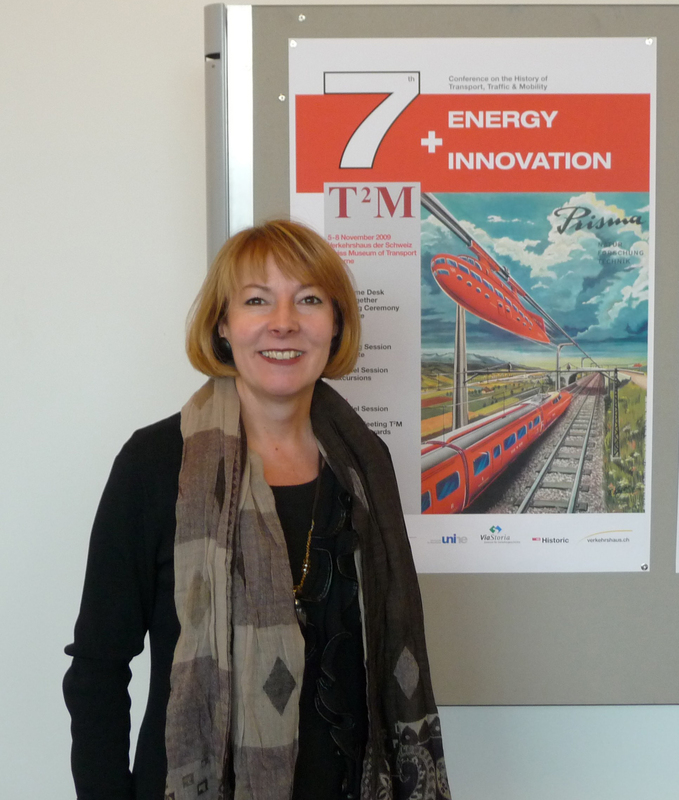 In this Newsletter we find out a bit more about Stéphanie von Erlach, the Chief Executive Officer of the Swiss Railways Heritage Foundation. If you were at the Lucerne conference you’ll recognise Stéphanie straight away, as she was one of the key people making sure that everything went as planned. 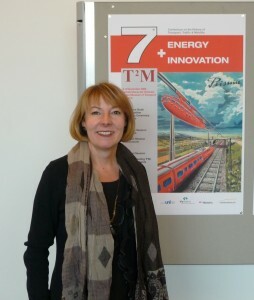 She’s had an interesting career so far, much of it involved with education but also including a four-year term as Vice-Chancellor of the City of Berne. How did you get started, and how did you end up in the world of transport history? I am very interested in history of rail traffic, as a historian as well as an ardent user of modern railways. Today, mobility is something we all take for granted. But how did our ancestors experience travelling? It took a lot of time and comfort was rather limited, at least for most of the travellers. Did they enjoy the leisure of the journey? Working for SBB Historic allows me to follow questions like this. This accounts for some of the fascination of my work. You are in charge of the Swiss Railways Heritage Foundation (SBB Historic). What does you role entail? The Foundation’s services include trips onboard historic rolling stock, a public library and visits to the archives. As CEO I am responsible for the realisation of these tasks. The most important part of my work is to publicise the Foundation’s work and make it better known inside the Railway Community. This includes the presentation of the Foundation at railway jubilees or representations at national and international events, including the co-organisation of the conference of T2M in Lucerne in September 2009. What challenges do you – and SBB Historic – face in your work? – How can we maintain the use of historic rolling stock on a modern railroad network with its ever-tighter schedule and higher safety regulations? – How can a steam engine be equipped with the modern security feature EMTS-21? Is it even possible and if it is, at what cost? – How do we guarantee the long-term preservation and accessibility of audio-visual media in our archives? – How do we implement the transfer of electronic databases into our historical archive? – How do we further develop our library while a lot of modern scientific work is solely published electronically or on the internet? Do you get a chance to do any historical research? What are you working on at the moment? In my function as CEO I don’t have the opportunity to do any research even if it would be very interesting for me as a historian! But being the head of SBB Historic I am regularly invited to give lectures on different aspects of railway history. I use these opportunities to take up themes of current research that is carried out in our archives or collections. This March I will talk about ‘Railways and Light.’ SBB Historic has one of Europe’s largest collections of railway lanterns and we published a monograph on the topic last autumn. It covers all facets of lights and railways: the headlamps of the engines as well as the chandeliers in first class coaches and the desk light of the station master as well the lamp pole on the platform. I am happy to use this lecture as a chance to look in-depth into a very exciting segment of railway cultural history. How do you think that history done by academics can reach a wider, non-academic audience? I think we have to open up to the public. We can do this by using a language that displays emotions and attracts attention. SBB Historic wants to reach a wider audience by its participation in national and international events, such as the T2M conference in Lucerne or the ‘Night of the Museums’ in Berne, when we open our archives to the general public. ‘Without the knowledge of history there is no future’ may be our guide-line. The topic Railway and Mobility is very capable of attracting a non-academic audience. This is proved by a look at the travellers on the historic trains of SBB Historic: among railway enthusiasts we find families with kids, as well as juveniles and elderly. They all are fascinated by the technical witnesses of the past, regardless of their age and background. As I am an ardent traveller I like to read travel-books. At present it is Letzte Reise by Anna Enquist. It is the story of the life of Elizabeth Batts, the wife of Captain James Cook. I am very curious about its end … in any case it is an enthralling and informative book. The second book is Reisen zum Tee by Thomas Lünser, published 2003 by Nora-Verlag, Berlin. Lünser is a tea merchant and visited tea plantations around the globe. His ideal is the genre of travelogue and travel pictures. Each chapter is dedicated to one of the classical tea growing areas. I already know some of them and I would like to discover some others as I love to drink tea. Its main strength is networking and bringing together scientists from different continents in the wide range of questions concerning Transport, Traffic and Mobility. It forms a regular forum to discuss the latest research approaches and results on mobility research, and it gives young scientists an audience for the first-time presentation of their studies.